One of Fortnite Week 4’s Challenges is a little different. Here’s our advice on how to complete it in the most painless way possible, and stay out of the line of fire. You’ve only got a couple of days left to complete this challenge before the start of Fortnite Season 5. The Challenge in question is to visit the center of different storm circles in a single match. As you can imagine, this can be quite dangerous as the circle shrinks and players are pushed closer together. You have to visit the center of three different storm circles in one match, which seems like quite an ask especially when you consider other players are going to be camping that spot, looking for an easy kill. That’s you. You’re the easy kill. Your best chance is to hit the center of the first three storm circles. The first will be easiest, especially when you follow this simple technique. Stay in the Battle Bus until the very last second, then jump. 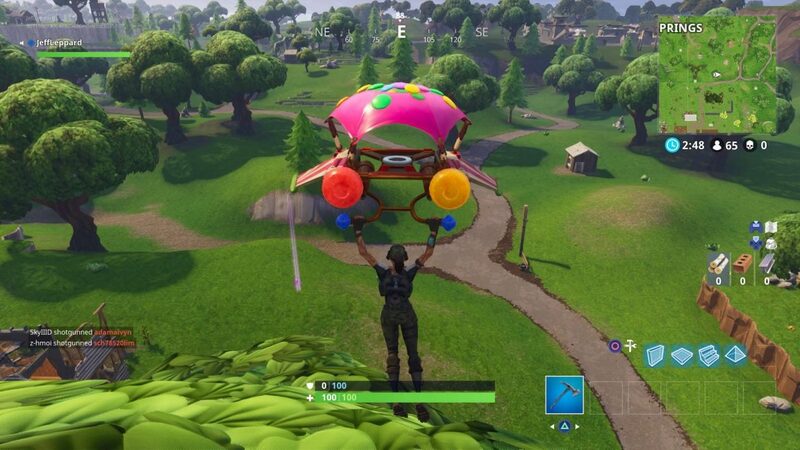 As soon as you jump, pop your glider and drift towards the center of the map. You want to remain in the air for as long as possible. As soon as you can see the storm circle on your map, skydive towards the center. What is the purple lightning bolt in Fortnite? 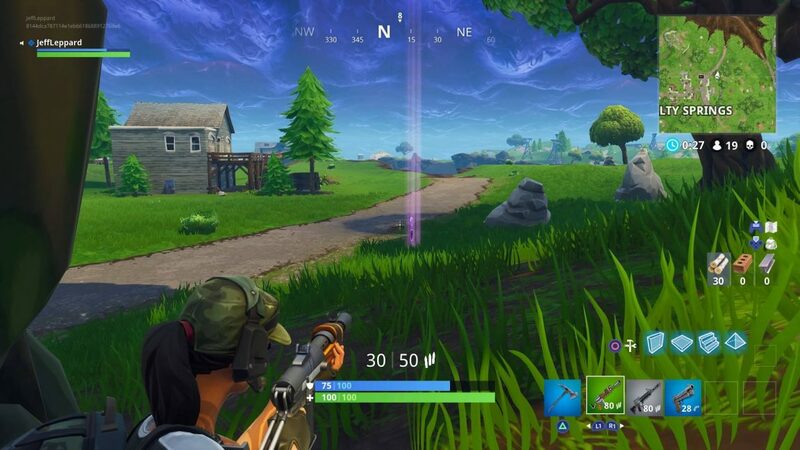 The purple lightning bolt that now appears in-game is the dead center of the storm circle. That’s where you want to be. Get close enough and it will disappear and you’ll briefly glow purple, meaning you’ve achieved your first of three visits. You’ll be able to see the purple marker from a distance although it doesn’t appear on the actual mini map. You now need to run off and get cover, as well as pick up your usual supplies, ammo and weapons. We suggest sprinting to the edge of the storm circle and finding cover or looting whatever you can. You now have to repeat the same task – running to the center of the storm circle – every time the map updates with the new storm circle. Remember that building walls is your best defense against gunfire. If you’re close to the purple lightning bolt, build walls to absorb the damage as you concentrate on getting to the center of that circle. Keep in mind other players will be doing the same, so make sure you check all corners before sprinting for it. You may have to resign yourself to the fact that you’re a lot less likely to win the match if you’re trying to complete this challenge. Focus on the challenge itself and you’ll complete it, but its also likely you’ll get melted just after you get to the third storm circle. Another technique is to try this in Duo or Squads, which can be a bit easier if your buddies have your back. Now that’s complete you need to pick up the giant Battle Star between a Bench, Ice Cream Truck and a Helicopter.